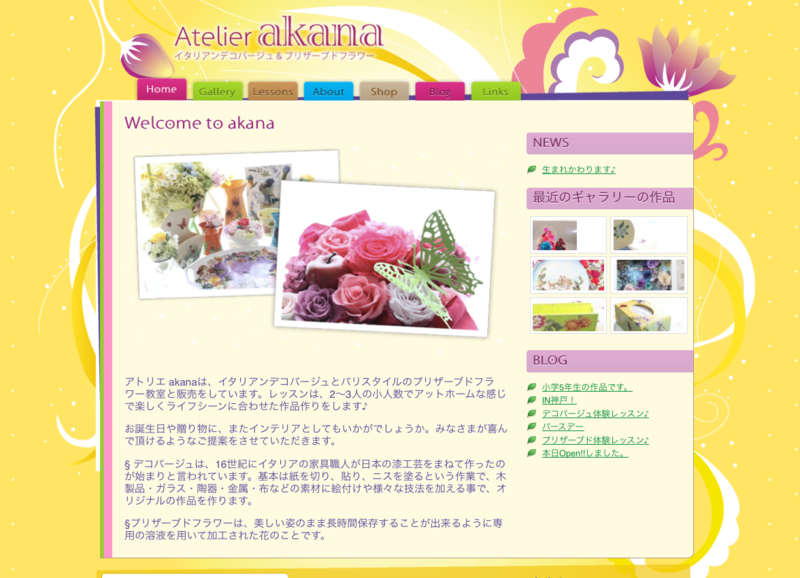 Akana provides lessons in the art of preserved flowers, as well as Italian-style decoupage. No previous website was available, and therefore the site had to be completely built. Choosing Wordpress, which received a recent major revision, enabled the use of the full power of Wordpress and it’s recent ability to publish different post types, making managing of the site simpler.